Our team is made up of a collaborative group of motivated and dedicated individuals, who are “all-in” to do what it takes to make our customers happy. We thrive on authenticity, camaraderie and mutual results. We care about building our company, our relationships with our customers, and becoming better leaders with everything that we do. Our office is a place where people are accountable, authentic and passionate about both their work and their life. Introduce yourself to our HR manager using the form below. Tell us a little bit about yourself, your experience, and why you'd be a great addition to our team. Do You Want To See Pricing RIGHT NOW? 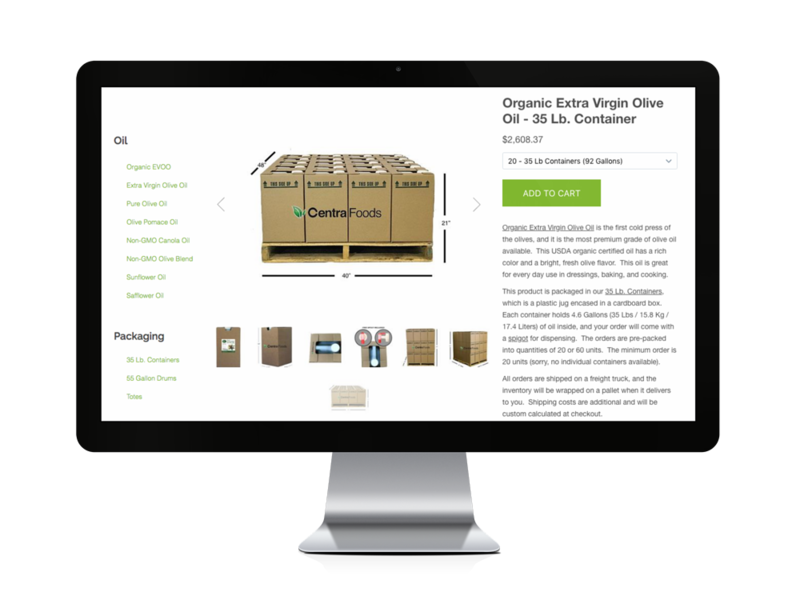 In our online store, you can see live prices on a variety of bulk oils in totes, drums and pallets of 35 lb. containers. You can also get a custom shipping quote to your facility, and place an order online with a credit card -- without having to wait for sales person to call you back! Orders ship fast, within 1-3 business days.